"Way back in the mid 70's we had a governor here in Washington state named Dixie Lee Ray. She had been chairman of the Atomic Energy Commission under Nixon and was full of herself. She loved nuclear power and hated environmentalists, and she invited everyone to send their waste here to Washington to be dumped at the Hanford site. She was famous for her superiority complex and would ask for your credentials if you challenged her on anything. Well, the Hanford site leaked and every once in a while it would hit the papers and the environmentalists would get on her case. One time after a particularly embarrassing incident she made the announcement that she was going to close Hanford until this could be taken care of. It was a startling proclamation. The next day on the local news there was a doctor from the University Of Washington cancer hospital saying that they would have to stop treating people because they now had no way to deal with the low-level isotopes that they used. Everybody's sick mother was held hostage and the response was instantaneous. Hanford was immediately reopened. I was having a heated discussion about this with a friend of mine when it occurred to me that if you get exposed to too much radiation you would likely get cancer and that they would then treat you with radiation. And that all these power plants, unstable and poorly built as they are, were accidents waiting to happen. It was like playing Russian Roulette, that strange game where a gun is passed around with only one bullet in it and everybody puts it up to their head, bets are taken, and the lucky winner loses. Only this was a nuclear version. This was Hiroshima-Nagasaki Russian Roulette. I wrote the song that night (in 1974). Several years later, in 1979, I was in Ireland at the Ballisodare Festival. I had learned that there was a strong anti-nuclear movement in the country mobilized to try to stop a power plant and uranium mining. I figured that if I could get an encore I would then play Hiroshima and it would get heard. It worked. Christy Moore was there and he asked for the lyrics so he could sing it. And I was invited down to the Carnsore Point Anti-Nuclear Festival that next weekend. Soon Christy put together an electric band called The Moving Hearts, and they took the country by storm. Their first big song was Hiroshima, which they had adopted for their seven piece rock/folk/jazz sound. It was recorded on their first album which entered the charts at number one. It remained a signature song in their repertoire for the duration of Christy's involvement with the band, and after leaving he continued to use it in his solo shows. It has since become almost a part of Irish folk culture, like another drop of water in a big river. And the success of the anti-nuclear campaign gives the whole story its depth, a demention of struggle and music. Maybe a song can be a weapon after all. Then I found out that there was a big anti-nuclear movement in Ireland and that there was, in fact, a major gathering planned for the following week. So I figured if I could get an encore in my second set, the next day, I would play Hiroshima-Nagasaki Russian Roulette. It worked. On my way up to the stage I got a little nip of whiskey to calm my nerves and settled into things. I don't remember what my last song was but I got my encore and did the Hiroshima song. The place went wild and I was brought out for another song. I was invited to the anti-nuclear gathering coming up at Carnsore point (http://www.iol.ie/~pcassidy/carnsore/w...), and changed my return ticket so I could go to it. The door had opened. My first national tour was opening for Planxty, a wonderful four-piece folk band with Christy Moore, Donal Luny, Andy Irvine and Liam O'Flynn. It wasn't until the second show that I had sense enough to get nervous. Planxty were like the Rolling Stones of Irish music. The gigs were great - high energy and always wild. We wound up doing an incredible unrehearsed version of Hiroshima at the end, and they had me playing guitar on some reels. Hiroshima had this amazing pipe and sax duet in the middle of it that made it an instant classic. I practically stopped playing the song after hearing it. Landlord was severely re-arranged but I got used to it - it was like a halloween piece instead of the blues thing I had made. The folk process. I remember sitting in the Baggot Inn one night when they were playing. They played there two nights a week for ages. The place was jammed like always. I was talking with a traditional singer friend of mine. "How do you like the band,?" I asked her. "I don't like them," she said, "politics and music don't mix." I didn't say anything, just nodded. The place was packed every time they played there. Their album was released at number one. Politics and music seemed to be mixing very well." 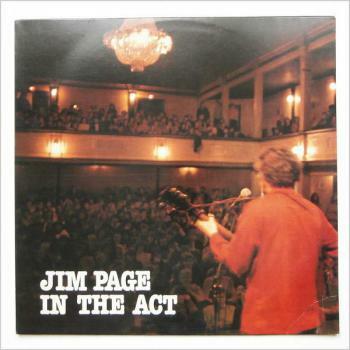 La canzone fu scritta da Jim Page nei primi anni 70. 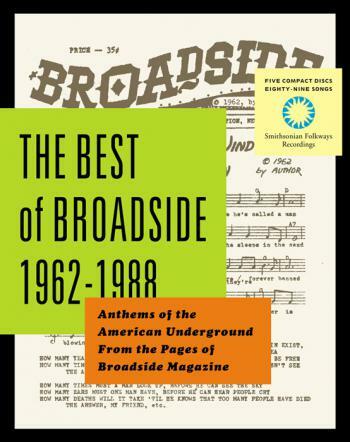 Poi nella raccolta “The Best of Broadside 1962-1988: Anthems of the American Underground from the Pages of Broadside Magazine” realizzata dalla Smithsonian Folkways Recordings nel 2000. Is like playin' Hiroshima Nagasaki Russian roulette. 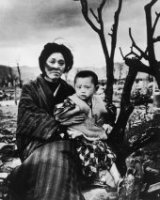 "questa è l’energia del futuro, e il futuro va avanti"
è come giocare alla roulette russa con Hiroshima e Nagasaki. 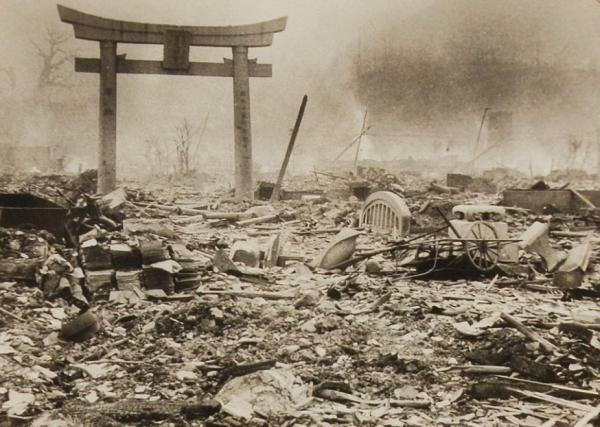 "they dropped the bomb in '45 to end the world WAR"
"hanno lanciato la bomba nel '45 per finire la guerra mondiale"